Television has perpetuated the already classic image of a violent, psychotic criminal, up to the point where we basically associate the two. We often tend to think of violent people as psychotic, and psychotic people as violent. But as a new study has found, that’s not really the case: there’s no strong correlation between violence and psychosis. Psychosis (not to be mistaken for psychopathy)is an abnormal condition of the mind described as involving a “loss of contact with reality”, but as it’s often the case with mental conditions, that’s vague and can mean several things. The term “psychosis” is very broad and can mean anything from relatively normal but a bit strange perception to complete schizophrenia and hallucinations. Modern psychology has, for some time, started to break down the idea that psychotic people are more violent, but the public’s perception still stands. Now, in a new study published in Clinical Psychological Science by APS Fellow Jennifer Skeem (University of California, Berkeley) and colleagues confirm that the link between the two is not as strong as we think. They interviewed over 1,000 violent offenders every 10 weeks for a year, examining if the participants had committed any violence (e.g., physical injury, sexual assault, use of a weapon) and whether psychosis preceded that violence. First of all, their results confirmed that many violent cases are caused by a small number of people. 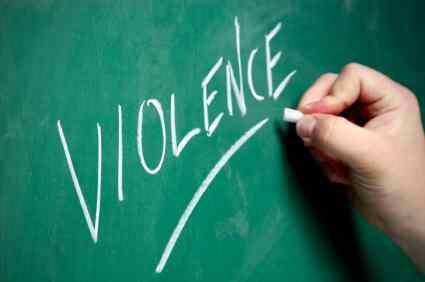 10% of individuals were responsible for 50% of the violent incidents that occurred in the year after the offenders were discharged. Out of the repeat offenders, about half of them reported symptoms of psychosis, but only 12% of violent incidents were preceded by symptoms of psychosis, indicating that at any rate, the psychosis itself wasn’t the cause of the violent offense. This shows that the popular conception of a criminal becoming psychotic before a violent/criminal act is actually very rare. “There is little evidence for a subgroup with exclusively psychosis-preceded violence,” the authors conclude. Skeem went on to explain that the symptoms of psychosis should be tracked and evaluated, but administering psychosis treatment might not be the best use of resources. In other words, basic anger management could be much more effective than psychosis treatment. “Effective treatment of psychosis will have negligible direct effects on violence for most patients and important but partial effects for the remainder,” the researchers write.